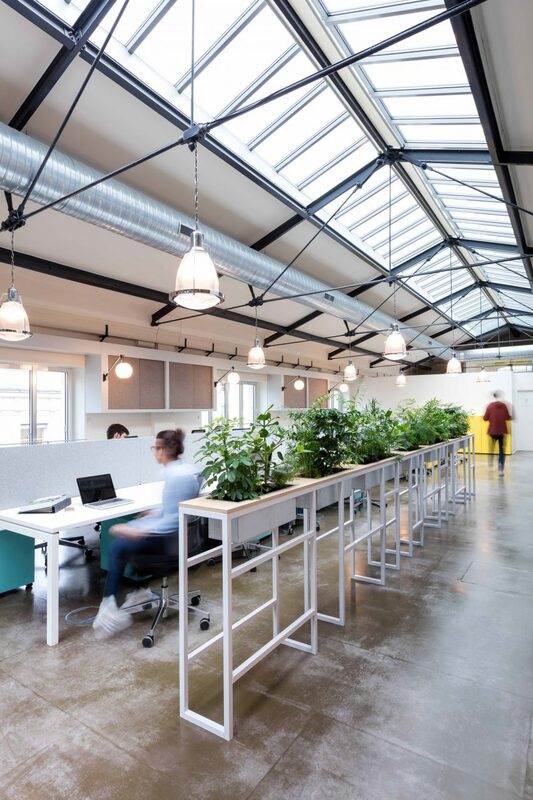 Interior design studio MoreySmith has created co-working spaces with a "contemporary industrial" aesthetic in an old factory building in Paris. 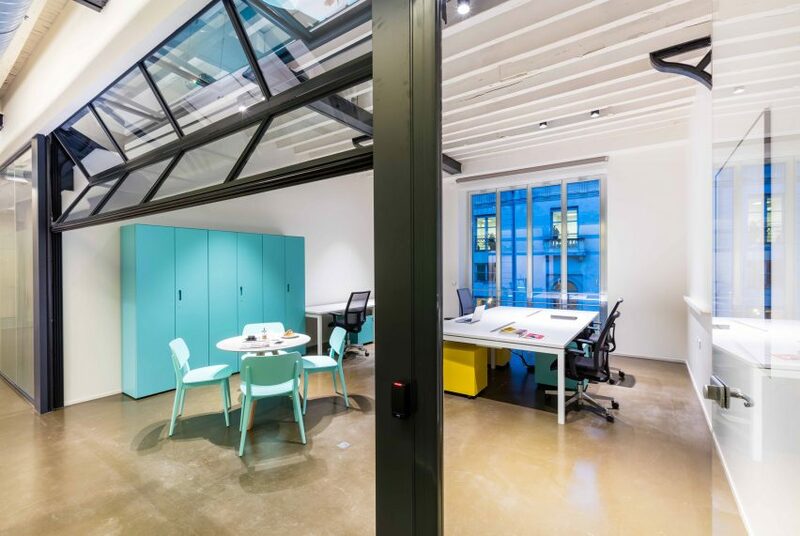 Created for a new serviced office brand called Deskopolitan, the co-working space comprises 14,530 square feet (or 1,350 square metres) spread over four floors at 48 Rue du Château d’Eau, Paris. 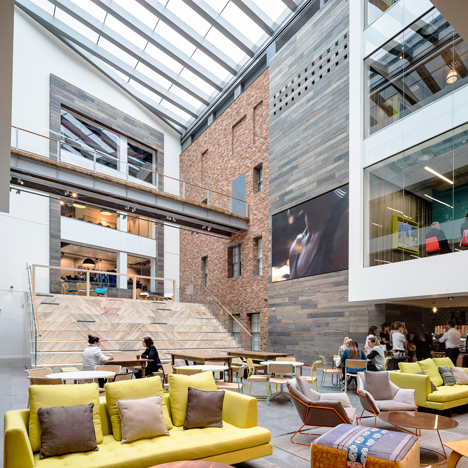 MoreySmith was asked to conceive and develop the company’s Global Design Concept, transforming the former factory building into a state-of-the-art co-working environment that challenges the traditional office concept. The brief stipulated that the space should be unique, welcoming, comfortable, interesting, flexible, easy to use and sociable. 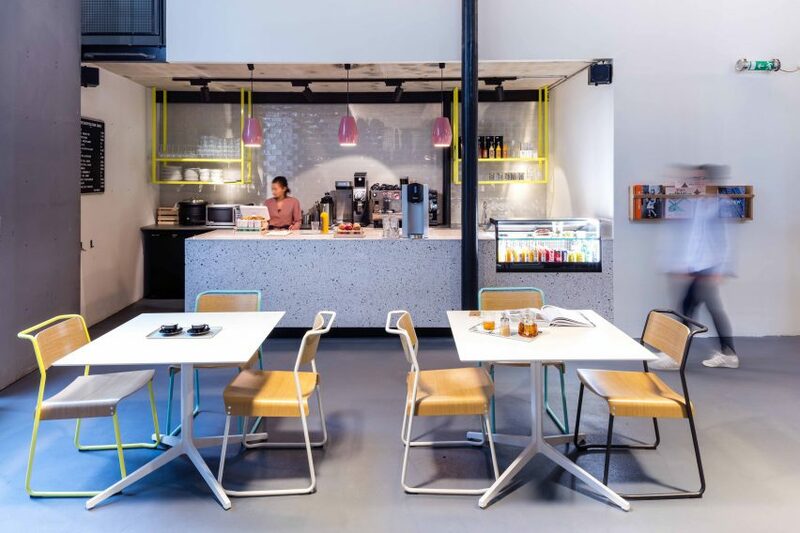 This programme includes a cafe, a barbershop, phone booths, artist studios, health & beauty suites, spaces for open group collaboration and networking events, assigned workspaces and informal touchdown positions. 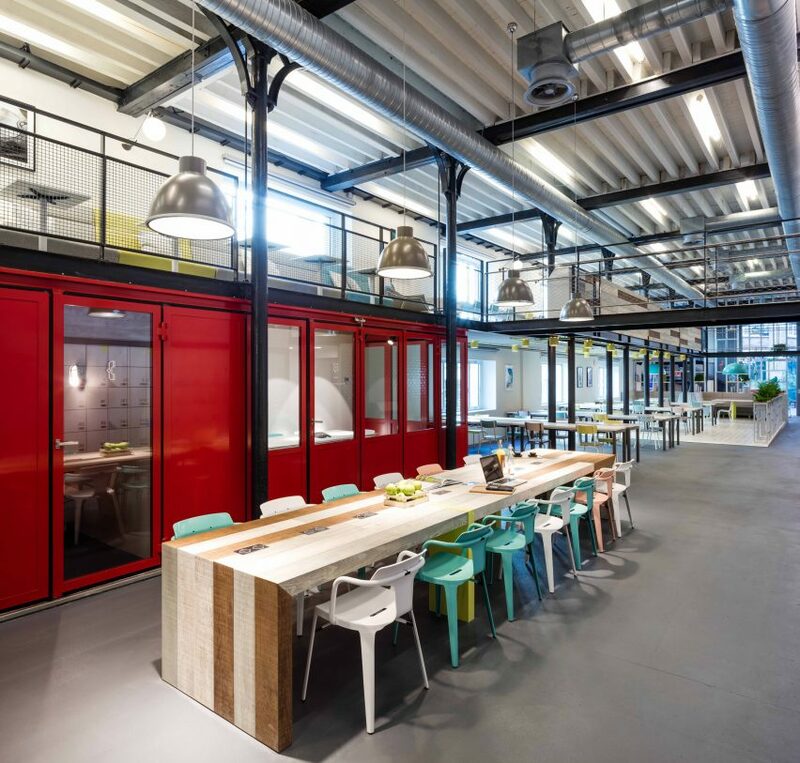 The resulting interiors are intended to encourage staff interaction, while offering a contemporary take on the building's industrial heritage. Materials such as glazed brick tiles, exposed concrete, crittal window frames, burnished brass and copper mesh are complemented by fresh, bright colours including yellow, light grey and blue. Plant boxes have also been added, to promote wellbeing and filtrate the air. 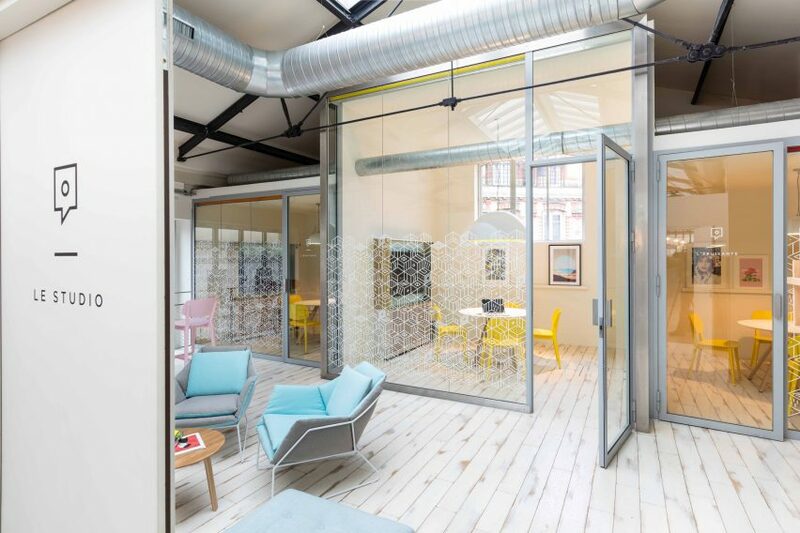 The offices are designed to appeal to start-ups and small businesses seeking creative and flexible workspace in central Paris. However the space was initially let out in its entirety to French presidential candidate Benoît Hamon, who ran his election campaign from the building. 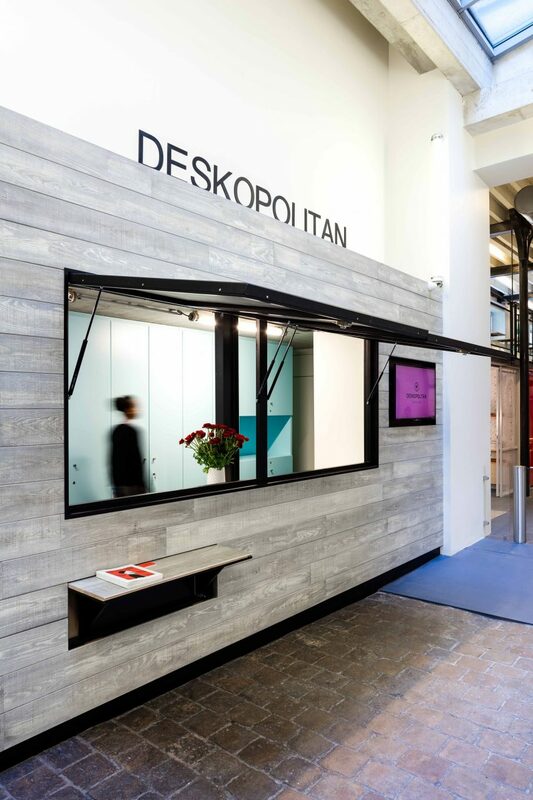 “We have made a daring choice by working with a foreign architect to create a concept as innovative as Deskopolitan in Paris," commented Alexis Rebiffé, co-counder of Deskopolitan. "We have no regrets. All promises were reached with a building completely transformed and dedicated to start-ups and companies of all sizes." MoreySmith's Deskopolitan concept was originally developed for Voltaire – a 19,685 square foot (or 6,000 square metre) site in the 11th arrondissement of Paris. Now due to open in March 2018, Voltaire has grown to be a much larger project, offering a complete live work model with a gym club, restaurant, nursery and hotel. A circular geometry found within the entrance gates at Voltaire inspired a graphic that has been translated through to the Rue du Château d’Eau project, included in design elements such as metal work, wall panels, door handles and balustrates. 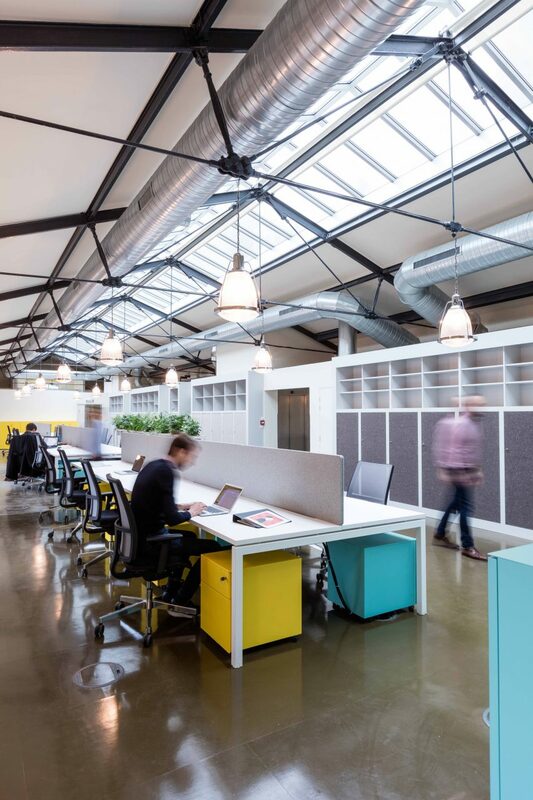 "Deskopolitan presented an exciting new opportunity for us to bring co-working to Paris," said Linda Morey-Burrows, founder and principal director of MoreySmith. "It is fantastic to see Château d'Eau repositioned, rebranded and at the centre of business in Paris," she continued. "We look forward to seeing the development of Voltaire over the next 12 months." "The MoreySmith team did a wonderful job challenging the existing layouts and demonstrated a remarkable attention to detail," added Rebiffé. "We are very pleased to continue the collaboration with our Voltaire flagship." 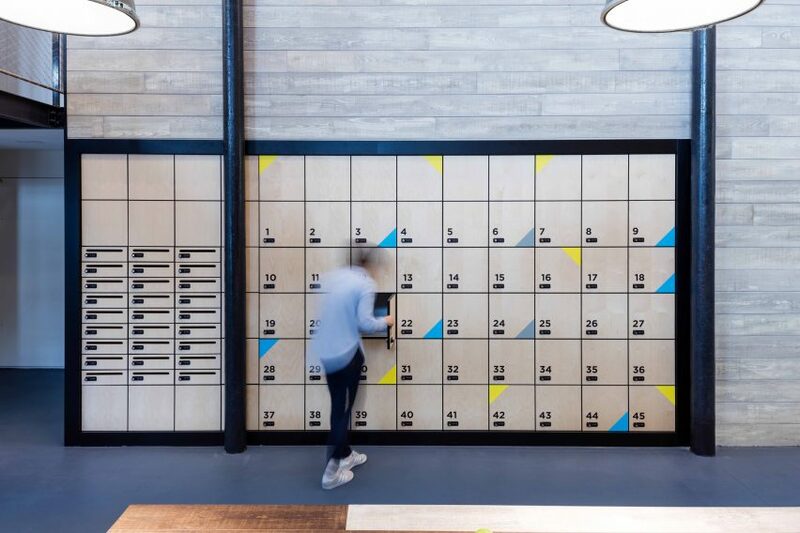 Co-working spaces are continuing to prove popular around the world. In Mexico City, architects Estudio Atemporal recently paired concrete columns and cinder-block walls with black metal and glass partitions when transforming a former industrial factory into a co-working space. 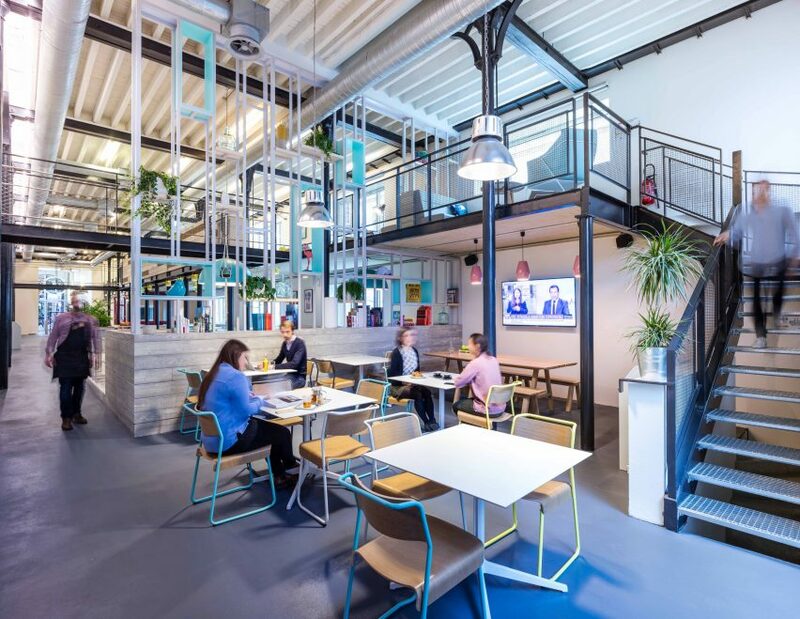 Meanwhile London's new Palmspace co-working studio occupies a former factory that has been adapted to offer extra room for artists and makers.